Biocarbon Engineering, headed by CEO Lauren Fletcher is a company seeking to plant 1 BILLION trees every year using drone technology. 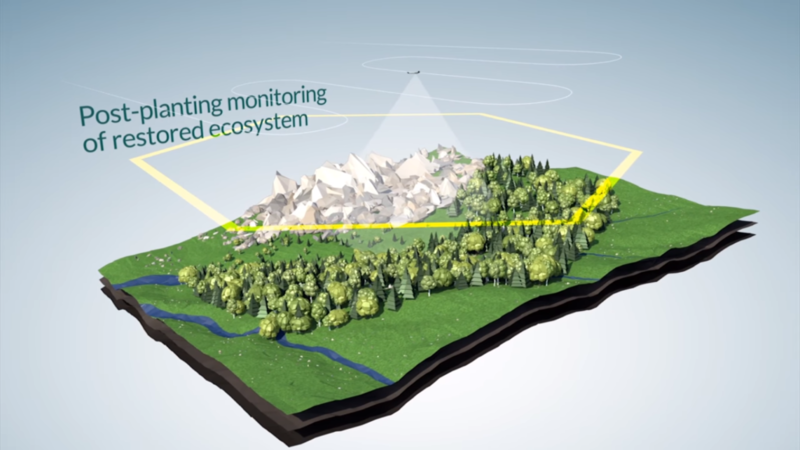 By mapping out a grid in deforested regions, a single operator can control and automate up to 15 drones which can put in roughly 360 current-standard man hours of tree planting each day. Each drone precisely propels down biodegradable seedpods that are designed to enhance germination success. With their research and development they are looking to overcome varied challenging environments, manage large-scale projects and utilize their drone technology for precision planting to help restore entire ecosystems for the planet. Their team is comprised of experts in the fields of physics, environmental engineering, biomedical engineering, UAV swarm intelligence, UAV design and control, environmental resource management, forestry maintenance, electrical engineering, mechatronics, robotics, automation engineering, environmental data analysis and more. CEF FFT: Imagine a world where we see their goal met of 1 billion trees planted per year. What kind of effect would that have in drawing down carbon emissions?